On some of his commodity charts, W.D. Gann had marked the sunspot cycles. In basic terms, low sunspot cycles cause cooler weather and droughts, whereas higher sunspot cycles cause warmer weather and floods. This is a bit different in each location. This has been going on for thousands of years and there are many old books and writers that recognised these cycles hundreds of years ago. There’s is a long list of books and authors, but one of the books on Gann’s reading list was “SUNSPOTS and WEATHER” by W.T. Foster, a famous meteorologist. His system, akin to all others, was based on astronomy, not astrology. He was yet another person who considered housewife astrology to be rubbish. Changes in weather are based on changes of terrestrial magnetism. “These changes of magnetism happen due to certain planetary configurations, which can be foretold with as much certainty as the configuration themselves. Therefore, the weather can be foretold with as much certainty. To call this astrology is the height of the ridiculous”, he said. The great meteorologist had an understanding of the whole solar system as a vortex. Below is a basic view, but it doesn’t show the elliptic, aphelion, apogee etc. or what Gann calls the 4th dimension. “Members of our solar system, the sun and all the planets knit together into a perfect whole by electro magnetic threads of force. All influence coming from these bodies enter the earth by its north magnetic pole as dynamic electricity, and goes out by the south magnetic pole, generating a magnetic helix which runs from the south pole to north pole and spins the earth about its axis (Inigo Jones from Australia also discovered this point, read below)”. It is noted that W.T. Foster has the most comprehensive system of long range forecasting. It takes in the eight major planets as held together in one grand network of electromagnetism. Gann had his secret average of 8 and 6 planets which he never sold, but I suspect it also has something to do with his “Spiral Chart”- the Serpent. He did write a booklet for some students on how he used the average of planets, but only for those who had completed his most expensive course (cost of a house) six months before he died. He also said his true secrets were not for sale. You will never see Gann secrets anywhere, otherwise it wouldn’t be a “SECRET”. No one has Gann’s secrets, if they were for sale, they would cost hundreds of millions of dollars. Gann used squares of numbers as counts. He clearly understood the proportions of the distance to squares. Gann had 16 planes on the cover of TTTTA, which I have written many articles on. Maybe the ‘Tunnel’ is the vortex? Now, the square root of 32 (double 16), which is 5.656856 x the fall of the planets, gives the exact days in a cycle. Example: the earth falls (64.57 x 5.656856 = 365.2564 days). 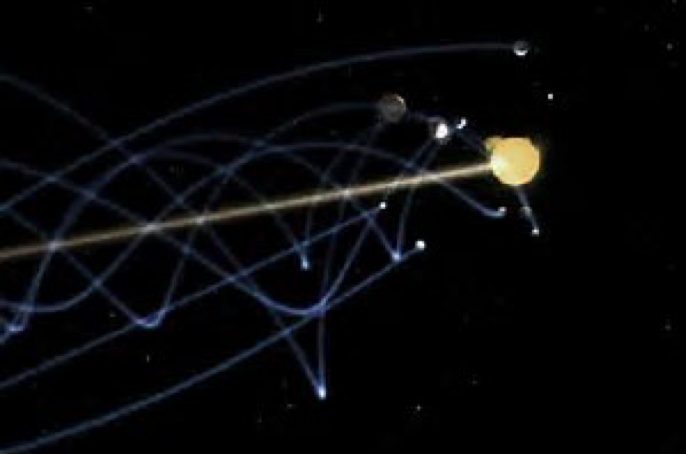 Gann’s averaging of planets has something to do with the 4th dimension, understanding the 25,920-year cycle would lead to an even closer understanding of the vortex of planets. He’s given a hint by demonstrating the angles on the front page of TTTTA using 2 x 1 and 3 x 1- the difference being 7.5 degrees. 24 x 7.5 = 180 degrees. If you really understand what the 180 degrees is, you have commenced understanding the vortex. By that I don’t just mean oppositions, as that’s way too simple. I am talking about real stuff here, i.e. astronomy. If you have his Ephemeris, you can see that he looks at, in some cases, a solar return date and does an average of 6 or 8 planets. For example, 1946 would be 14 years from 1932, 14 years is two 7- year cycles. He also did some planet averages when planets were direct or in retrograde. 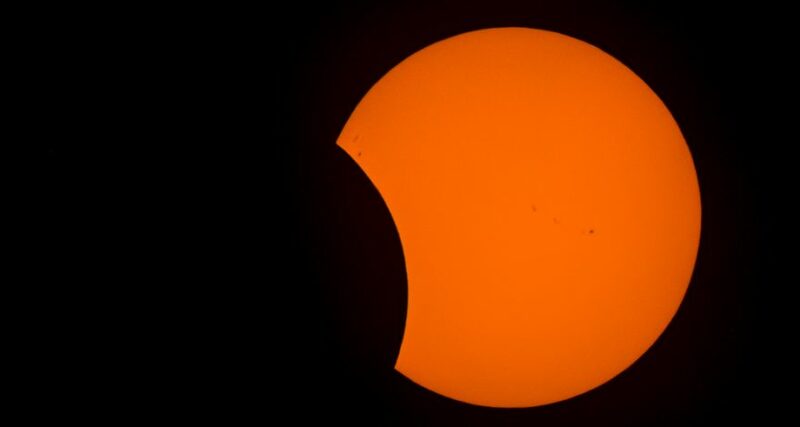 He some times did them on dates of solar and lunar eclipses, not each one though, so he must have had a reason to pick out certain ones that clearly aren’t found in the written word. They maybe coded or perhaps he preferred to store it in his memory for safe keeping. He had a private booklet explaining to his private clients, issued just before he died in 1955. No one has seen this booklet to date. The hardest thing to work out is his 4th dimension applied to markets. It’s not just the planets or average of planets going through price, as that’s only three dimensional. W.T. Foster mainly used Jupiter, Saturn and Uranus to forecast the sunspot cycles, which him and many others have come up with an average of 11.1 years, which is very close to the Jupiter cycle of 11.86 years. Long-term weather forecasting is extremely important in the rural industry, having a road map of what the future holds can save millions of dollars in preventing losses. 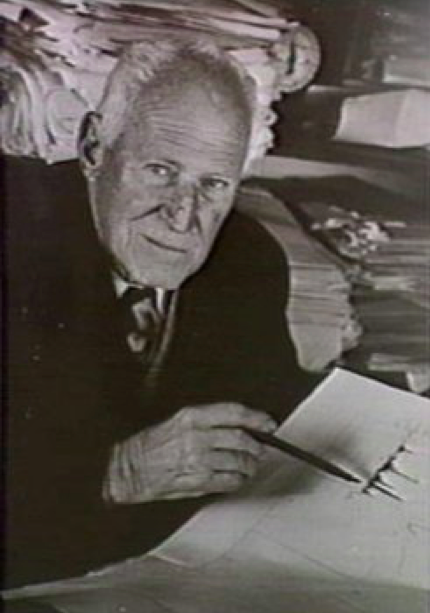 Australia’s most famous long-term weather forecaster was Inigo Jones (1872- 1954) who lived in Crohamhurst, Queensland- a hinterland town of the Sunshine Coast. Many old farmers have heard or used Inigo Jones’s methods. In 1874, his parents migrated to Queensland where his father designed roads and railways. When 11, Inigo obtained a scholarship to the Brisbane Grammar School. Interested in astronomy and meteorology, he had an observatory at his parents’ Kangaroo Point home and was a student member of the Royal Society of Queensland. In 1888, the colonial meteorologist Clement Wragge persuaded Jones to serve a cadetship in his office rather than attend the University of Sydney. When Wragge became interested in Edouard Bruckner’s investigation of the changing levels of the Caspian Sea, comparing Bruckner’s 35-year rainfall cycle with the 11-year sunspot cycle, Jones began to develop a special interest in long-range forecasting based on sunspots. He believed that the four major planets of Jupiter, Saturn, Uranus and Neptune cause the high and low sunspot cycles in Queensland and when the major cycles all come together at the Eighteenth Hour of Right Ascension as a critical point, it would cause droughts, and at the Sixth Hour of Right Ascension, it would cause floods. Jupiter orbit is 11.86 years, Saturn is 30 years, Uranus is 84 years and Neptune is 164 years. Inigo used these cycles and the Bruckner cycle of 35-36 years to predict the 1974 floods, which was 20 years after his death and the great drought of 1983 to 1993, which was 30 years after his death. Low sunspot cycles cause droughts and bad business conditions, the low sunspots of 2008/09 was caused by Jupiter at the critical drought point, and will again be at this point in 2020. Saturn will be at the point in 2019. Below is the projected sunspots cycle to 2020. The planet Inigo didn’t use was Pluto, which was at its drought point in February 2017. This planet take 246 years to go around the sun, so it is going to be there for a while. The biggest problem I see, is the last peak in sunspots was the lowest in 100 years, which means the drought should be a lot worse due to not enough rain in cycle peak 24. In the bigger picture, high sunspots give you a warmer climate and more rain. This runs from peak to peak of 1823 years. We are now going into lower sunspot cycles and colder climate. From 1645 to 1715, we had a mini ice age due to low or no sunspots. The Thames was frozen over at that time. This is the real global warmer and cooler, not the rubbish you hear from government, they are only pulpits to the Federal Reserve (the 13 richest families that own it). The whole cycle system takes 25,920 years to complete, why measure climate change over 20 years? His theory is in effect that the whole solar system is simply a vast electro-matric machine, which is automatically controlled by the magnetic fields of the planets. This applies, among other things, to the seasons. Therefore, if we know what the conditions were when the same planets stood, the same relationship will arise now. It is simply a matter of having complete data; and carrying on till that time. The great need is to have complete records, going back more than 100 years. The more data you have, the more accurate the forecast will be. Inigo’s mentor, Clement Lindley Wragge had laid it down as principle that the seasons were controlled by a cycle, as found by the Austrian scientist Bruckner; and associated with changes in sunspots, which went through a periodic change covering about 11 years. Bruckner cycle is 35 to 36 years or three Jupiter cycles. If we go back to the rain maps that are supplied by Queensland Government (Link:https://www.longpaddock.qld.gov.au/products/australiasvariableclimate/index.html), you will see that 1982/83 was an extreme drought plus 35 year is 2017/18, 1983/84 was wet which 2018/19, 1984/85 and 1985/86 were droughts; this fits with major droughts in 2019/20/21. Take a look at other cycles as well; there was an extreme drought in 1935/36 and in 1936/37 in Western Australia, which the Uranus cycle repeats in 2019/2020 and 2020/21- i.e. 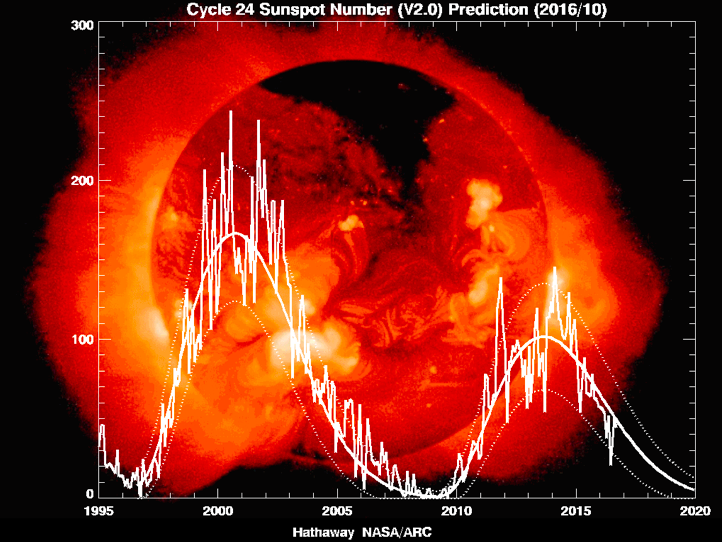 when low sunspot cycles are expected. 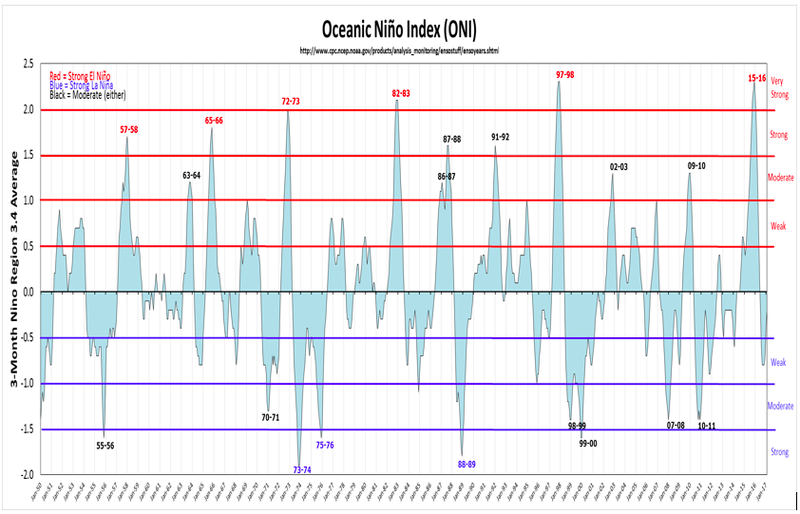 EL Nino also runs in the similar cycles as demonstrated in the ONI chart. Of course we have climate change. The earth rotates a degree every 4 minutes, it’s warmer during the day than at night, its warmer in summer than winter. The earth alone moves at 18 miles a second, would that cause wind? The planets move closer and further away from the sun and earth in their own cycles, which have repeated over millions of years. You can’t go back 10 years like these stupid politicians do and claim it’s warmer when the whole cycle takes 25,920 years to complete. Governments have never fixed anything; they are the cause, not the answer, they all work for the Global Elite. It’s all about taxing the ‘Straw Man’ (look it up on internet). You have to ask yourself, why do the ‘Greens’ have children, drive cars, fly, wear cloths, wear shoes, eat food, drink, use everything etc. all manufactured from power stations, especially if they believe humans cause global warming? Why are we breeding? It’s all just rubbish. Warming and cooling has only to do with planetary movements, nothing else. Short warming periods are short-term cycles; long-term periods are long term cycles. 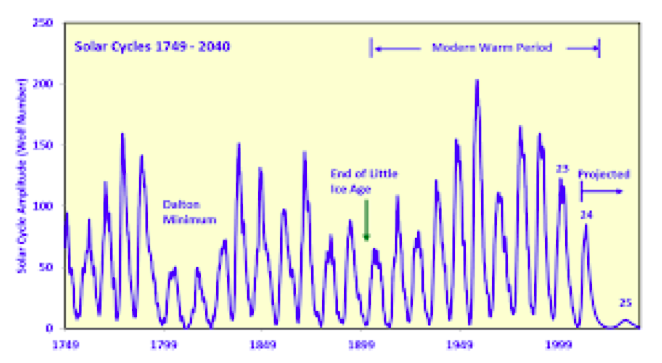 The mini ice age predicted over the next 20 years due to low sunspots will cause millions of deaths and crop failures. The Governments around the world should be had up for ‘GENOCLIE’ if these deaths happen because they have destroyed power stations. For example, in Australian, people can’t afford power now. How will these wind mills work if frozen? Governments only destroy the world, not fix the world. It’s all about money that doesn’t exist. Between 108 BC and 1911 AD, there were no fewer than 1,828 major famines in China, or one nearly every year in one or another province; however, the famines varied greatly in severity. There were 95 famines in Britain during the Middle Ages. There was a 200-year drought between 800 AD and 1000 AD, which destroyed the MAYANS. Another example of governments lies: I randomly looked at Sydney rain fall lowest rain fall since 1858 was 1888 with 583 mms for the year, next 1862 with 609, next 1941 with 680, next 1968 with 624, next 1957 with 690, next 1980 with 736 and next 1936 with 769. Keep in mind, it’s only 160 years of data, nothing in time from the 25,920-year cycle. So, it has been wetter every year since 1888. I wonder what they’ll blame it on then, especially with very few humans left on the planets and definitely no manufacturing. Gann went to India and would have had access to the Hindu rules for weather. Whether he used it or not, you wouldn’t know, but currently Hindus use Sidereal Astrology for all aspects of astrology. I only use Sidereal Astrology of the Hindu for weather and horse racing, as well as the above information. It has much better mathematical rules for timing. The Hindus go back 1000s of years and they have many rules for weather. The weather was the most important thing to forecast for the success of crops. They lived and died by the weather. They have over 100 rules for wet and dry days periods. May 2019 to May 2020: all grains will suffer with their seeds. May 2020 to May 2021: Growth of crops in some places and drought in other areas. There are 90 rules for rain and drought. We know so little compared to the ancients. To Access The Complete Archive Of David Burton’s Articles Starting 2003- Get Our 3-Year Subscription Here. David has been studying the methods of W.D.Gann since 1983 as the methods of Indigo Jones. W.D.Gann also studied sunspots cycles and there effects on commodity markets. W.D.Gann also went to India with Sepharial so clearly knows more about Hindu astrology than he ever made out. I have been using the Hindu methods for weather, markets and horse racing as written about in previous articles. I’m have spent the last year working on the only “Pure Gann” software in the world, and stage one is nearly completed, there will be a few more stages, then weather and horse racing program over the next few years.